The weeks since the terror attacks in Christchurch have been a period of reflection for those in the Muslim community. Public displays of solidarity are reassuring, but it is essential to remain vigilant against the dark forces of hatred and intolerance. At first, I did not catch the full story of the Christchurch massacre. 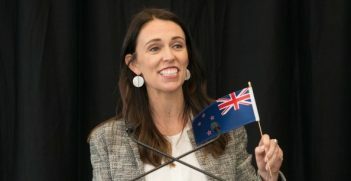 Listening to the car radio on my way back home, Prime Minister Jacinda Ardern was speaking about a terrorist incident. My first reaction was, “oh no, not in New Zealand.” I presumed the attack was carried out by a Muslim extremist. As a Muslim who has previously lived in New Zealand for three years, I thought now it is the turn of Muslims in New Zealand to be collectively demonised for the act of an individual. However, when I realized that he was not a Muslim but a white supremacist, I felt a strange sense of relief. Thank God that this time it was not a Muslim. As the scale of the tragedy became clearer to me, a sense of deep sorrow and despair engulfed me. It was a heartbreaking tragedy that men, women and children were mowed down while going about their daily lives. Over the years, as terrorists have killed thousands of people in both Muslim and non-Muslim countries, I have felt the pain of every such incident and grieved over the loss of life – be they Muslims or non-Muslims. However, my grief was always tempered by the outrage that a lunatic fringe has come to define Muslims and me. This time something was different. Suddenly, the wider Muslim community and I were not being blamed for this act. This tragedy did not stigmatise Muslims. While people like Senator Fraser Anning tried to blame the victims, widespread condemnation stopped the terrorist’s apologists in their tracks. My 17-year-old son, who was also devastated by the tragedy, told me that at least this time he would not be demonised by someone else’s actions. This tragedy would give him some respite from being called “Achmed the dead terrorist” (his name is Ahmed) by his schoolmates. When Kiwis and Aussies say, “this is not who we are”, I totally believe them. When Kiwis say that the terrorist does not represent them, having had first-hand experience of their compassion and multicultural values during my three-year stay in New Zealand, I agree with them. I also believed my Australian neighbours, friends and the coach of my son’s cricket team when they reached out to me to say how sorry they were and that this is not what Australia stands for. During the past six years of my stay in Australia, I have always found Australians tolerant and respectful towards my culture and religion – to the extent that my son’s cricket team would always order Halal sausages for the team’s BBQ. Now is also a time for the general public in Australia and New Zealand to understand the anguish of ordinary Muslims. Their pain of belonging to a community tainted by an act of terrorism. Muslims also need to be believed when they say that terrorists do not represent Islam. Terrorists cannot define 1.8 billion Muslims the same way that the Christchurch attacker cannot represent Aussies and Kiwis. They are fringe elements of our communities who thrive on hate and intolerance. Make no mistake, no society is immune from the dark forces of hatred and intolerance. Bosnia-Herzegovina was once held as a model of multiculturalism in the former socialist bloc. However, such dark forces ripped it apart in no time. Prime Minister Ardern has shown remarkable leadership and compassion in an hour of crisis. Her response has set a gold standard for others around the world on how to handle a crisis of this magnitude when underpinned by the ideologies of hate and intolerance. 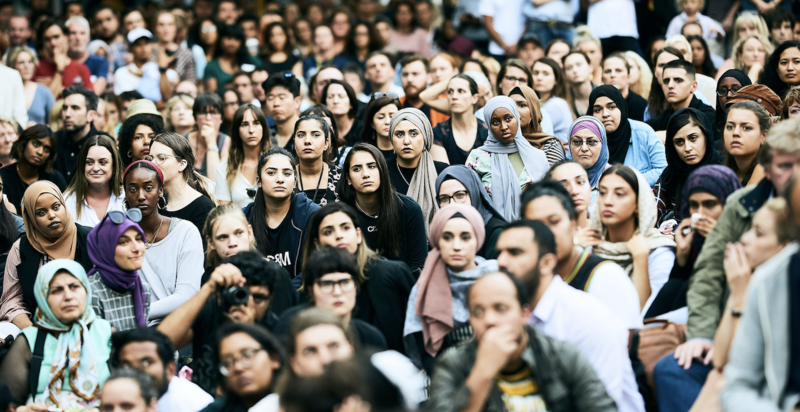 Ordinary people in New Zealand and Australia standing shoulder to shoulder with Muslims in their hour of grief and rejecting the divisive ideology is reassuring. The tributes, vigils and memorial services are important to bring communities together. However, this is not sufficient. There are innumerable examples of forces of hatred and intolerance striking back once the outrage subsides. Former Norwegian Prime Minister Jens Stoltenberg’s response to the 22 July 2011 attacks by Anders Breivik’s on the Labour Party’s offices and the summer camp of its youth wing was also exemplary. He was praised for bringing the nation together irrespective of their ideological leanings. However, just two years after that tragedy the right-wing Progressive Party formed a coalition government for the first time in Norway. Despite the determination of the Norwegian society to not let 22/7 happen again, lessons have not been learned. Rather, Breivik’s manifesto is inspiring many around the world, including the Christchurch attacker. The forces of hatred and intolerance are waiting in the wings to strike back. What if Muslim extremists somewhere now use this incident to justify further terrorist acts? What if some other white supremacist motivated by this mindless violence decides to engage in a copycat act? We need to end this vicious cycle of violence and declare war on hate in all its forms and manifestations and call out intolerance. Be it ridiculing “others” in the privacy of our own homes or making racist comments. Be it a virtual space or a public space. Be it at our schools, colleges, offices or places of worship. Instead, we need to promote tolerance. Each one of us needs to call out the forces of hatred amongst our ranks. It is only through an unrelenting campaign that we can reclaim the space we have lost to extreme elements in our society. Asima Rabbani is, by profession, a career diplomat who has served in Pakistan, Jordan, New Zealand and Australia. She is currently a PhD candidate at the University of New South Wales, Canberra. Her academic interests include global security, the United Nations and the existing global order, violent non-state actors and terrorism. 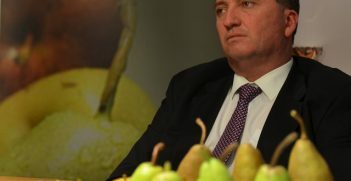 Australia-New Zealand: 'Til Barnaby Do Us Part? Regardless of Barnaby Joyce's citizenship status and the New Zealand election result, the recent fleeting trans-Tasman tension is a sign of the close links between neighbours. 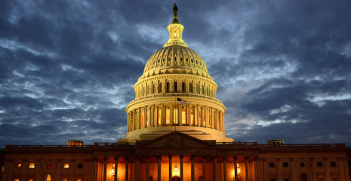 As the mid-terms change the make-up of US Congress, how do Australia and New Zealand protect and advance their interests by engaging with the US legislature?